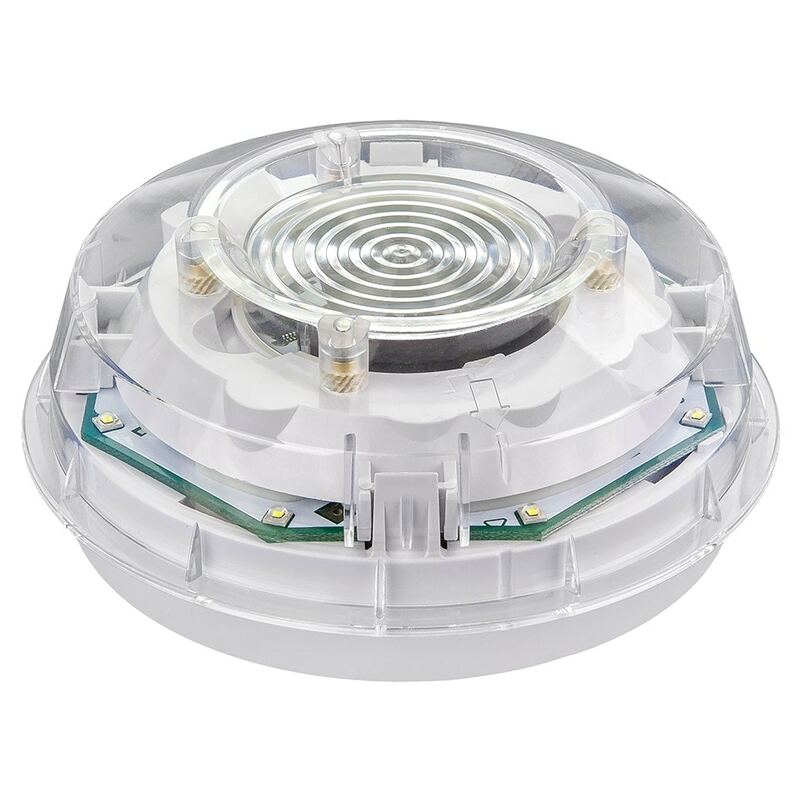 KAC’s Intelligent Wall Mount Strobe is a high-quality loop powered device designed to alert building occupants of an emergency. It is powered by the fire panel via the loop wiring and utilizes a simple twist-fit installation onto the B501AP base for improved system flexibility. Control of the device is enabled using onboard switches or via a fire panel running the System Sensor Advanced Protocol. When triggered by the panel its intense strobe give a visible warning. A choice of lens colours makes the device suitable for a wide variety of applications. The clear lens version of this product is approved to EN54-23 as an Open Catagory. The Red and Amber lens products are not approved to EN54-23 (Visual Alarm Devices) and must not be used as a visual alarm device or to provide a primary warning notification of fire. * The Clear Lens version is approved to EN54-23 as an Open Class device.